I love keeping myself organized with these! 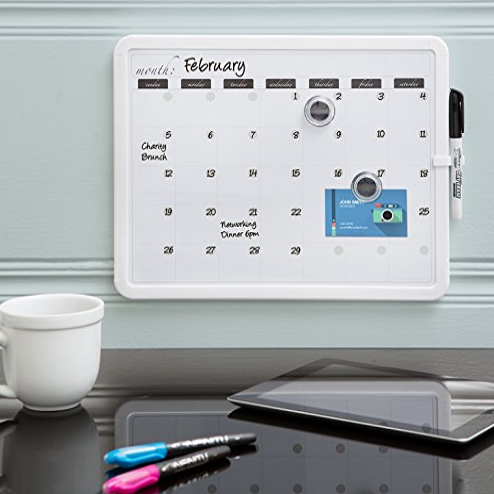 Right now on Amazon, you can get this Board Dudes 11 X 14 Framed Magnetic Calendar for Only $11.58! (Reg. $19). Stay organized by keeping you monthly activities written down on this 11″ x 14″ monthly calendar. Clean white frame provides an non-distracting look at the month ahead. Includes a dry erase marker and two magnets as the dry erase surface is magnetic and can be used to post notes or pictures. Mounting instructions and hardware included.